The API-based development platform enabling developers to do 80% of the job in 1% of the time thanks to: out of the box APIs for users and data, one-click integration with any API, scalable infrastructure and SDKs. Build Rome in a day. Why do developers choose Stamplay? Why do you like Stamplay? Why do developers choose Knack? Why do you like Knack? 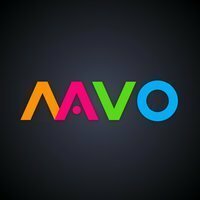 Why do developers choose Mavo? Why do you like Mavo? What are the cons of using Stamplay? What are the cons of using Knack? What are the cons of using Mavo? How much does Stamplay cost? How much does Knack cost? How much does Mavo cost? What tools integrate with Stamplay? 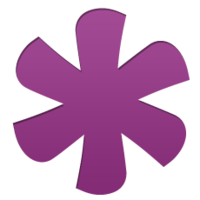 What are some alternatives to Stamplay, Knack, and Mavo? No more excuses to launching your idea! Programmers are very proud of their code. Everybody wants to build the best code as possible and they forget about delivering value to the future possible customers and the idea ends not happening. I saw in Stamplay an opportunity to make all that ideas that were in the drawer happen—it is easy to use, to setup and it delivers what I—as a frontender—always wanted: data. Now, with my abilities I can give life for them, and finally I am launching the applications I've been dreaming for the last years. Technically speaking, Stamplay delivers an API and there's no effort to get there. Also, all the integrations it gives us such as Stripe, Facebook, etc. are time saviors—I really just need to focus on what matters most, which is designing a great user interface for delivering the value my customers deserve. Last but not least, are you experiencing a problem or have a question? Oh, no worries—this is your littlest problem because their staff are always ready to help you with the maximum professionalism and politeness you've ever seen. Stamplay-The Web Developer's Best Friend! Elegant. Rolled out a site fast with auth and automation. I was super-impressed with how as a (very) part-time coder I could just get the job done. The UI gives a lot of confidence of the care and skill gone into the product.